Campus activities are coordinated with The Ohio State University at Mansfield to serve all students from both institutions. Student ID cards are provided free to all NC State students and must be accompanied by a current validation sticker. The photo ID cards are produced at NC State College’s Cashier’s office in Kee Hall, any time during normal working hours. Must be presented at a variety of locations throughout the campus in order to receive services and for campus security. The Campus Recreation Center, various health science labs, the various computer labs, the campus library, and the campus bookstore are a few of the more prominent locations where you will be required to present a valid student ID. Is required to print documents in campus computer labs using Pay to Print. Call the number below to report problems if your NC State ID card is lost or stolen. For special arrangements and/or extenuating circumstances, contact Sandy Hoffman by visiting 156 Fallerius or calling 419-755-4816. This is a FREE service to currently enrolled North Central State students that provides evaluation, brief counseling, and referral services for a wide range of problems and/or concerns. Such concerns may relate to: college adjustment, emotional health, relationships, parenting, sexual identity, test anxiety, finances, or legal concerns. 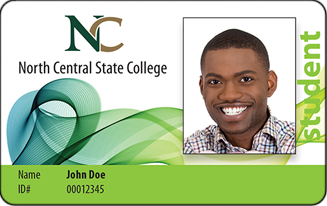 Persons making use of these services must be students currently enrolled in North Central State College credit classes. SAP services are provided free of charge to currently enrolled students. Some limitations may apply to certain services or number of sessions for services. Information about student health insurance is available at the Welcome Desk in the Byron Kee Center for Student Success. This insurance is not provided by or endorsed by the College.